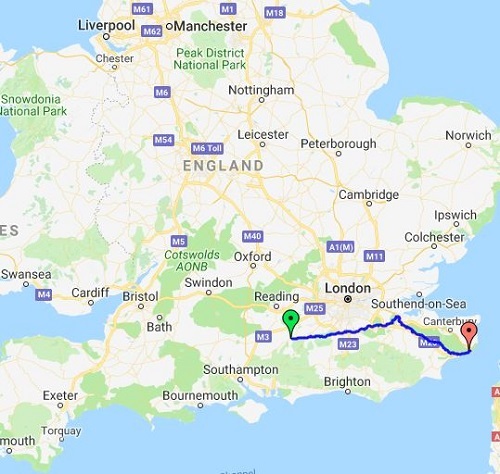 This is my story of my enjoyable walk along the North Downs Way trail in the South East of England that I did in 7 days at the end of April 2018. I walked around 125 miles on my trip but there are lots of villages and towns just off the trail that can add to that mileage if you are staying at nights off the route. 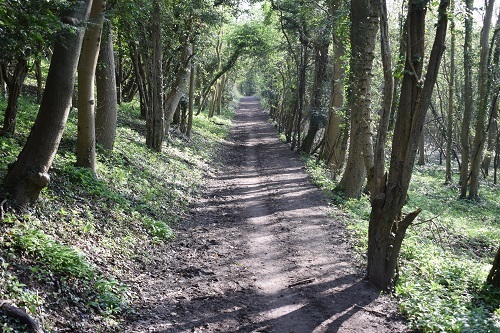 It is mainly a lower level route, following the Pilgrims Way at times, along tracks, roads and lots of paths through woods which in April was very pretty with the amount of Bluebells to be seen. 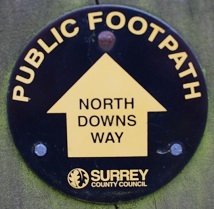 The North Downs Way National Trail is a long distance path in southern England, opened in 1978. 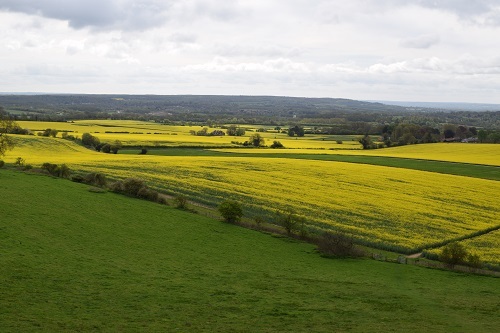 It runs from Farnham to Dover, past Guildford, Dorking, Merstham, Otford and Rochester, along the Surrey Hills Area of Outstanding Natural Beauty (AONB) and Kent Downs. 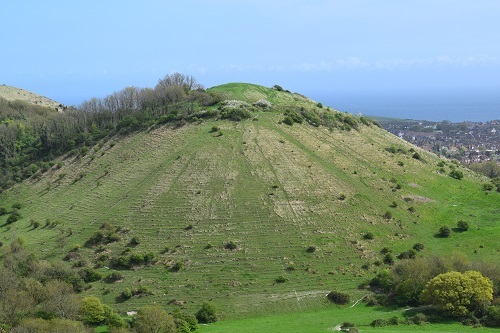 Near the end of the trail there are two different options to finish in Dover, one path takes you through Canterbury and the other takes you towards the coast and past Folkstone and the Channel Tunnel. I was very lucky with the weather when I walked the North Downs Way. it only rained a couple of times in my 7 day walk and these were just quick showers. The good weather meant that nearly all the trail paths were dry, mud free and very nice to walk upon and I would walk most of the time in Tshirt and shorts enjoying the warm weather. I had lovely weather, only a couple of rain showers in 7 days which meant dry paths and no mud, a pleasant change to walk in tshirt and shorts. 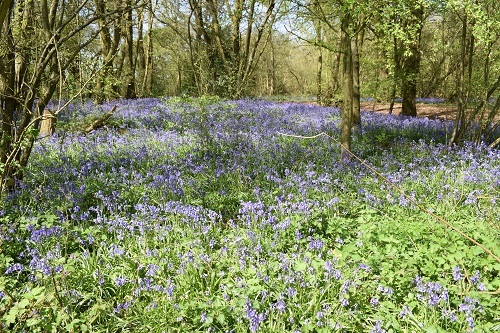 In late April, the amount of Bluebells in the woods was a fantastic sight for most of the first half of the North Downs Way, this made walking through lots of woods a lot more interesting than it would be later in the year. Apart from the weekend, there were not many people walking the trail which meant it was easier and cheaper to find accommodation. The actual paths themselves were well maintained and usually quite wide and level walking. There weren't too many big hills to climb up but plenty of short and steep bits. The views, especially when you are walking along the top of the ridge are very nice looking down on nearby towns, villages and towards the South. Transport along the Way is very good, you're never far away from a train station or bus meaning that you can take more days to complete the walk and do less miles each day, if you prefer. Most villages that I walked through or near has a shop in them so food was never a problem, the distance from the trail wasn't far. It’s probably the only Long Distance Walk I’ll ever do where I would have preferred to walk with headphones on. Sadly you’re never that far away from busy roads and you hear the traffic nearly all the time. Quiet paths through the woods listening to birds singing are nice but the road noise is always in the background sadly. It’s a busy part of England however so traffic noise is inevitable. If you don't like lots of walking in woods, you probably will get fed up quickly on the trail as much of it passes through woodland. There are a few sections where you walk along tracks, paths and roads with high hedges and trees which give limited views. Many parts of the trail are shared with bikes and at weekends can be busy which means keeping your eyes and ears open, especially on the twisty country lanes. Some of these roads are just wide enough for a car which means having to step off the road often. The start of the trail in Farnham could really be somewhere nicer than at the juction of busy and noisy roads. 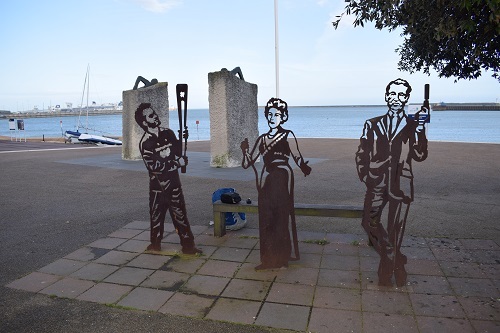 The other end of the trail in Dover is quiet, traffic free and very scenic as you look over the Sea. 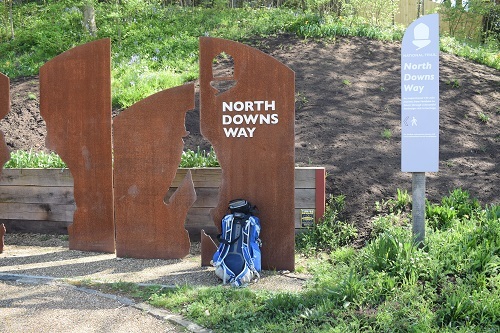 On my North Downs Way walk in April 2018 I took many photos and also made a short video showing my time on the Way, please click the link below to watch it.